My team and I look forward to having you as our guest at Banyan Tree Mayakoba. Dance your soul to the Caribbean breeze and be swept away by pristine coastlines in this bounty of freshwater lagoons and mangroves, natural dunes, intricate coral reefs and the famed Riviera Maya coast. 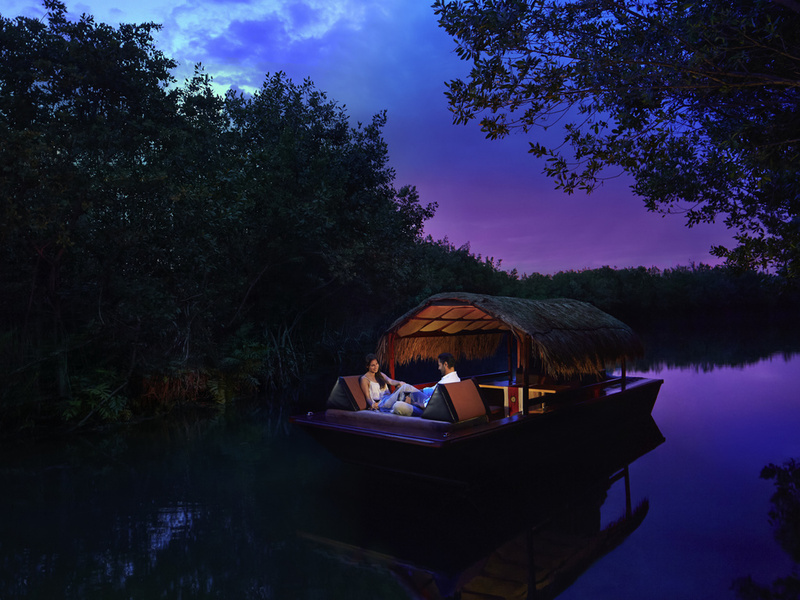 Banyan Tree Mayakoba is a premium resort that blends Asian hospitality with the idyllic passion of Mexico. Nestled within the private gated integrated resort development of Mayakoba, immerse yourself in untouched nature. Nestled in the unique ecosystem of Mayakoba, Banyan Tree is full of things to do and see. The Riviera Maya is dotted with important cultural sights due to the Maya Culture including pyramids, temples and ceremonial places. Banyan Tree Mayakoba offers luxurious villas with private pools. Smoothies, fresh juices and more in El Pueblito. At Mayakoba, get your dose of greens with a vast menu of healthy drinks, artisan sandwiches and freshly prepared salads. Ideal for relaxing with that first cup of brew, while overlooking the Reflections Pool, Oriente offers casual yet varied Mexican and international breakfast buffets each morning. Stained by the warm colors of the sunset and the moonlight, La Copa Lounge offers delicious Mexican cuisine paired with an exquisite selection of fine tequilas and mezcals, world-renown cocktails and beverages. Banyan Trees signature restaurant serving authentic contemporary thai cuisine. Sitting on our wooden deck overlooking the Mayakoba Lagoon while sampling the finest thai delicacies is a truly unforgettable experience. An elegant wine cellar of exquisite refinement and taste. With mood lighting to create an intimate atmosphere, La Cava's dining experience is heightened with gastronomic servings beautifully matched by choice wines. Fresh seafood and Mexican delights while lounging poolside or on the beautiful white sand beach. A dining experience that brings together herbs and spices enhancing the original flavors of Italian cuisine. Few people have tried a tomahawk steak and if you have, you certainly wouldn't have forgotten. If you want to taste it, you're in for a superb feast at the deck situated in Oriente restaurant overlooking the scenic waterways. A deep-in-the-jungle mystical experience featuring the four sacred elements of water, earth wind and fire. Floating in a Trajineira through Mayakobas waterways. Couples can experience a fusion of local and international cuisines prepared by one of our culinary hosts. Ixchel departs twice daily for both breakfast and dinner. Choose the best fresh fish coming straight from the sea as you interact with our fishermen and chefs to customize it to your particular taste. To be enjoyed either on the beach, in the comfort of your villa or at one of our restaurants. Whether you're looking for a romantic nest, or somewhere to relax with a few friends, we have it all covered with great food and refreshing drinks wherever you want to go. Refreshing daiquiris, margaritas and cold beers to enjoy under the sun on the warm sandy beaches of Mayakoba.